I recently came across the video above, it gives a good account of the calming benefits of a nature reserve. We’re so lucky to have one right on our doorstep! 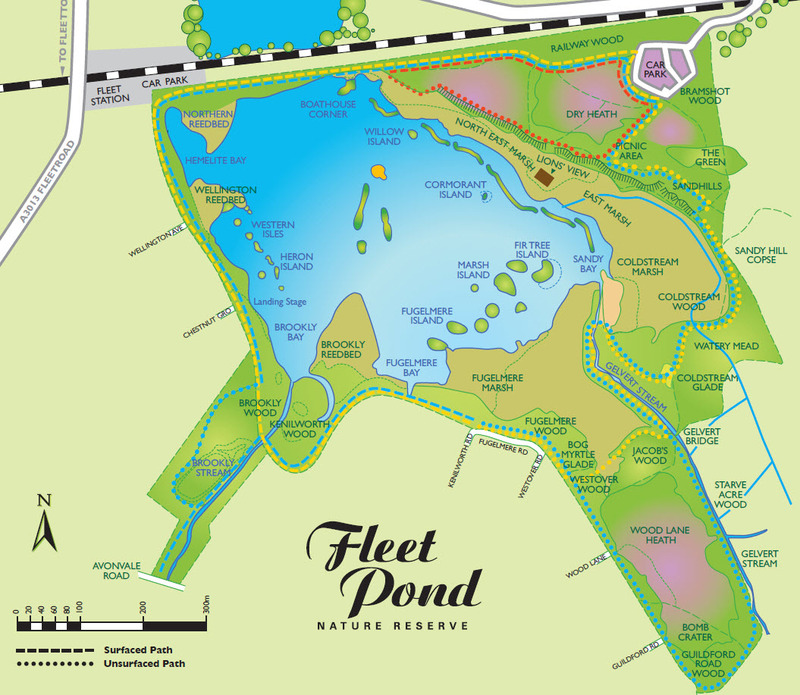 If you would like to support Fleet Pond Society in helping maintain and preserve the Pond, please consider giving a donation (see here for details). It would really be appreciated! An expansion on the interesting text that accompanies the video above can be found here. The other day I was making an online payment to Hart District Council and I noticed that their website now includes a very interesting and helpful interactive map of the area (see the example screenshot above). The link is here (I’ve found the responsivesness of the site can vary, you may need to try a few times). Notice that on the lhs you can overlay various criteria. For the picture above I have chosen Planning Information (General) and then Rivers (the blue lines above). On the top of the map you can also choose Background and this covers aerial imagery from 1997 to 2013. 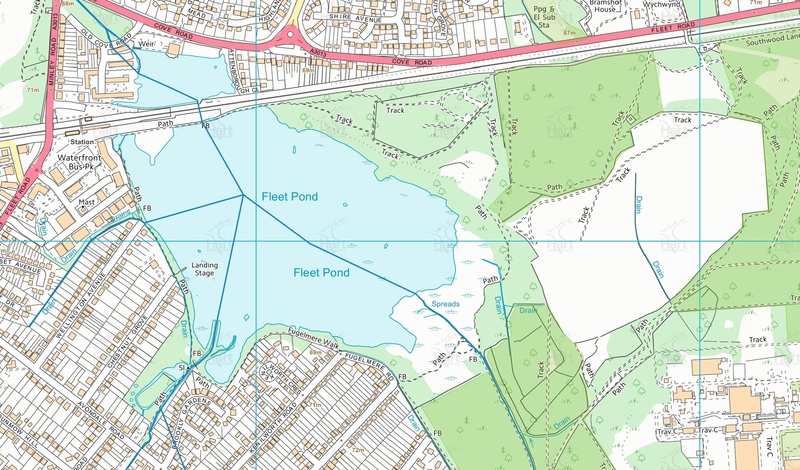 The online map is also useful if you plan to explore the environs of Fleet Pond, as described in a previous post here. Anyway, it’s certainly worth a look! 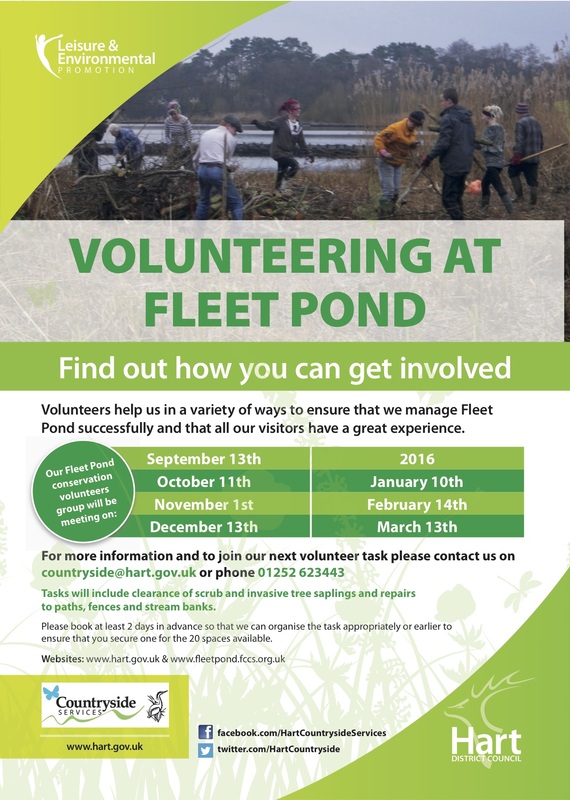 There will be a volunteer event at Fleet Pond this coming Sunday and all are welcome (see below for registering). “Ranger Rachel plans to ensure you all get muddy this Sunday by taking you out into Wellington Reedbed (the one closest to Wellington Road). 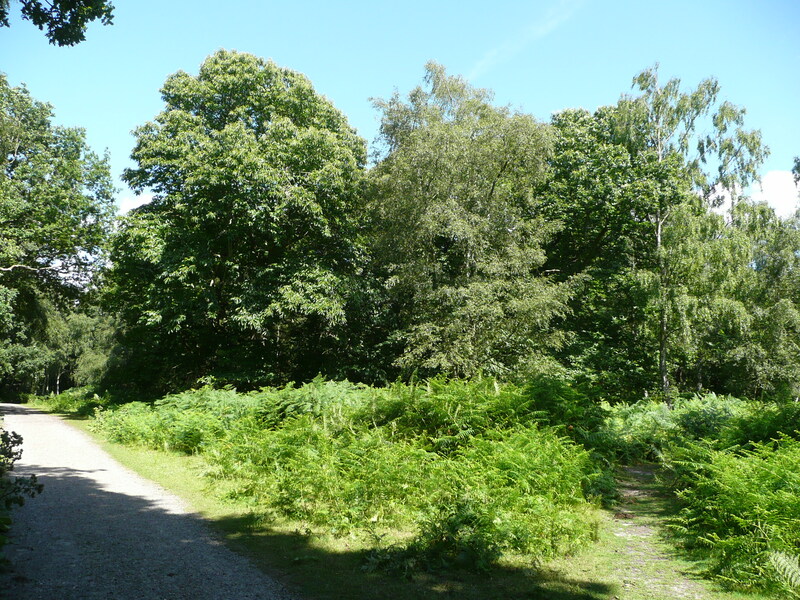 There will be reed cutting and clearing and scrub cutting to do. Please assemble as usual at the Countryside Workshop, Old Pump House Close, GU51 3DN, at 9.00 a.m. I recommend wellington boots or waterproof boots for this task. Some sections of the reedbed are firm but there are plenty of squashy areas and some where a boot can go right through the reed mat into very muddy water. As usual a warm drink will be available mid-morning but bring water if you feel you might need a cool drink. 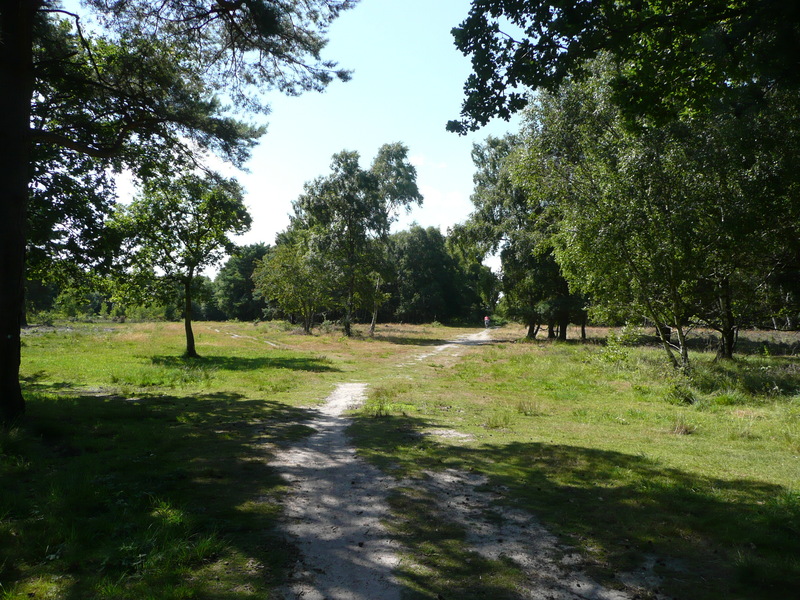 One of the most popular articles on this blog is the one that describes three walks (short, medium and long) that you can take around Fleet Pond. The walk details are given here and are illustrated in the map below (see the red, yellow and blue dotted lines). You can of course venture a bit further out and explore the area that corresponds to the RHS of the above map. 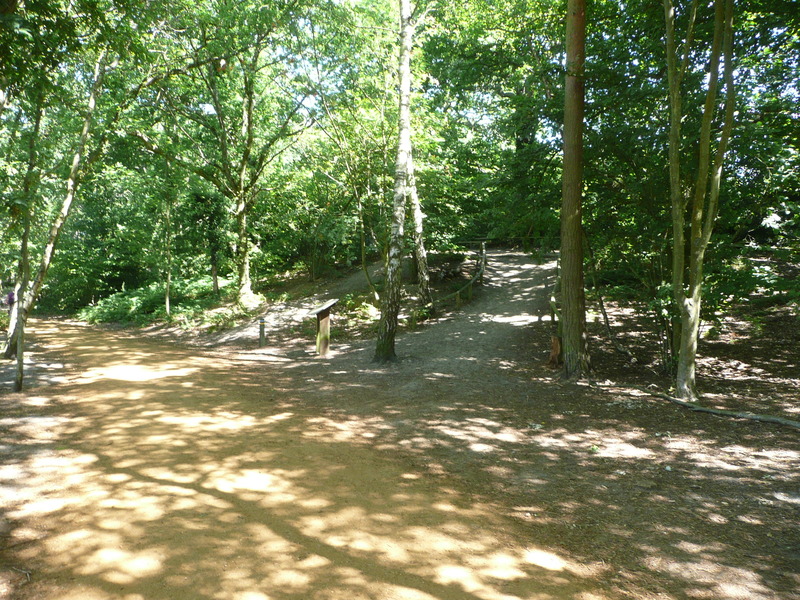 There are various turnings from the Pond you can take to get there (one is illustrated below, leading up the incline) or else you can start directly from the car park. Of course, a good map of the area would always be helpful to avoid getting lost! However this area seems quite popular and there are often other walkers that you can ask if you get a bit disoriented. 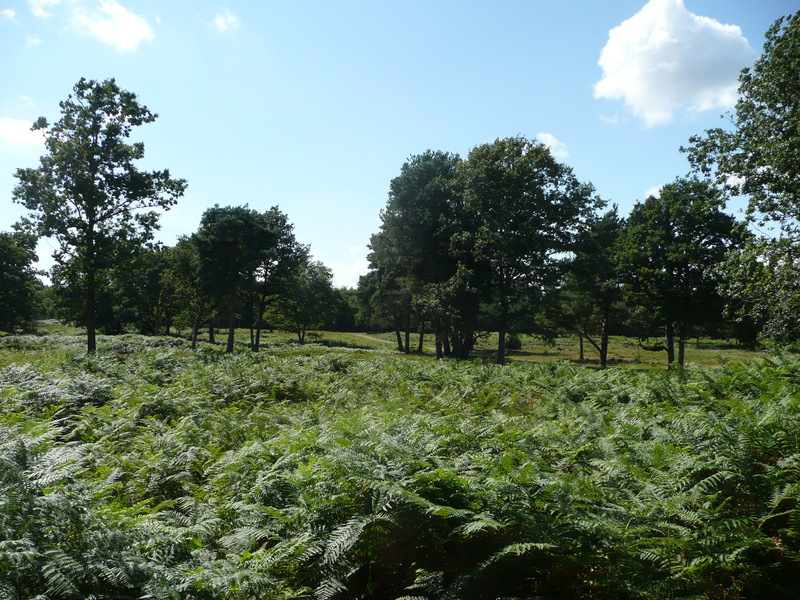 The land actually belongs to the Secretary of State for Defence but the public are permitted to use all parts of it for open-air recreation (with some exemptions). 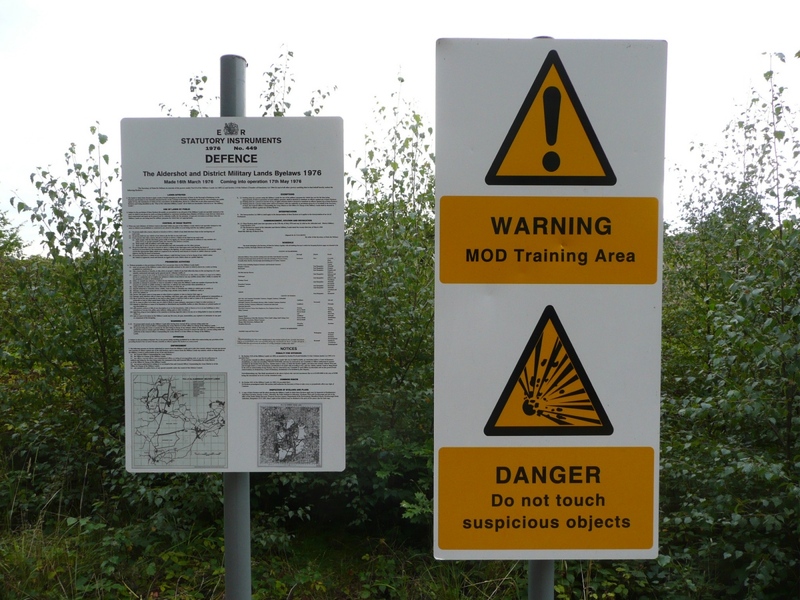 The full details can be found on the various signs dotted around the site (see picture below). 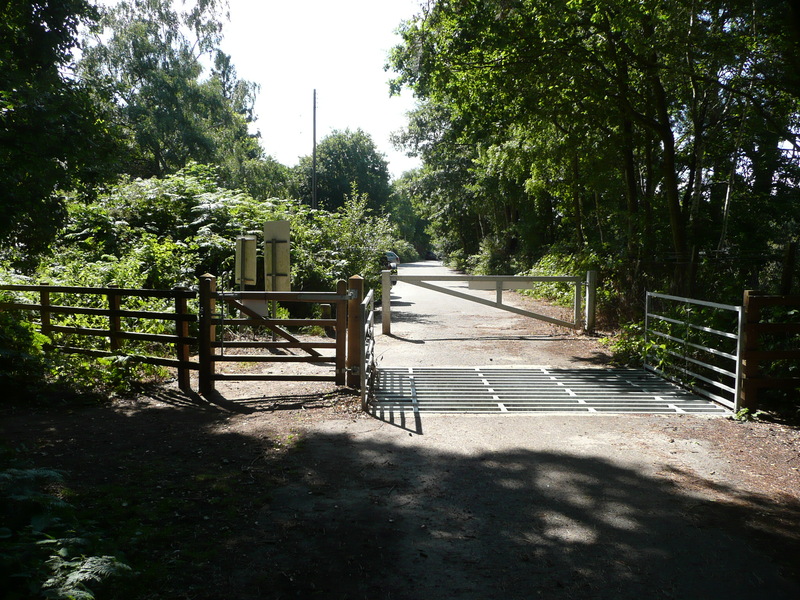 To give a flavour, here are some photos of this interesting area that I took a couple of years ago. This corresponds to the upper RHS in the map above; by the way, the train track provides a handy reference for general orientation. 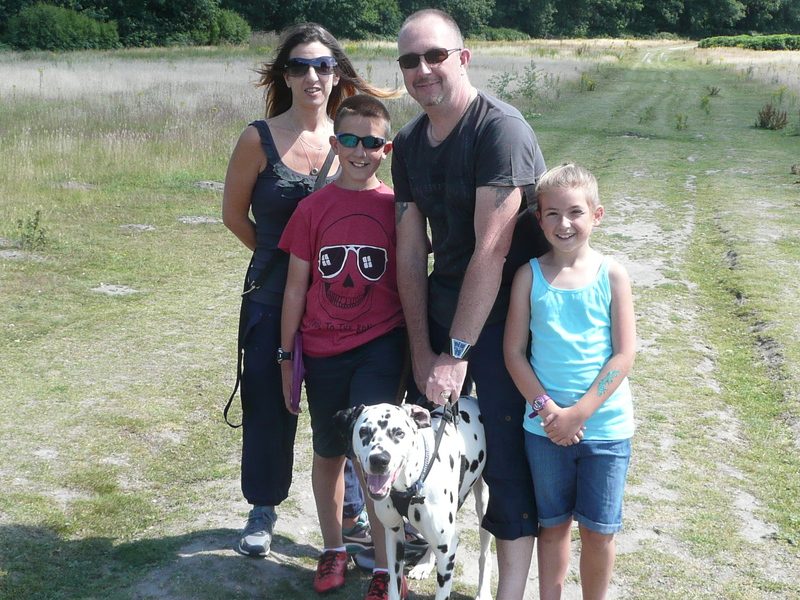 If you fancy a longer walk some time, or perhaps just something a little different, why not give it a go? In addition, if it impressed you, perhaps you could leave a review on TripAdvisor? Feedback is really invaluable! You are currently browsing the Fleet Pond Blog blog archives for September, 2015.